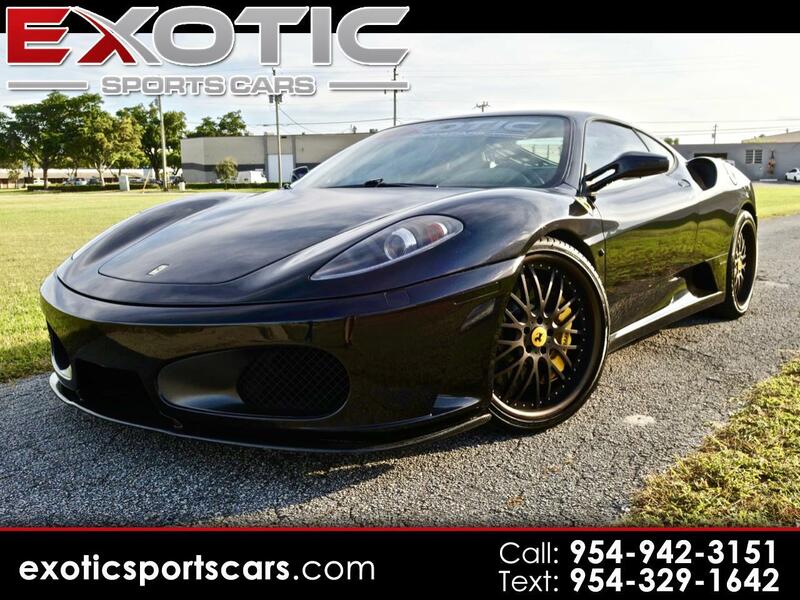 Exotic Sports Cars is proud to present this 2005 Ferrari F430 Berlinetta! From the master mind of Frank Stephenson and built in beautiful Maranello, Italy, this 2 door coupe is Black on Black with the Daytona bucket seats. Oversized 21" custom black wheels with yellow calipers highlight with the large yellow Scuderia shields. Carbon fiber galore with the entire engine buy, engine cover, rear diffuser, front bumper, and other carbon highlights throughout the interior. Wait until you hear this beast fire up with its Novitec exhaust system! Finally, the custom sound system will just complement the intoxicating sound of this stallion as you take this beauty on your favorite weekend drive. Message: Thought you might be interested in this 2005 Ferrari 430.